Get Lean members receive additional discounts from the Dr Joanna shop. To learn more about Get Lean click here. Thanks for upgrading to a Get Lean membership! Your waist measurement is a more accurate indicator of your health than your weight. Learn more about this and how to measure correctly in this video. The security code is a three-digit number on the back of your credit card, immediately following your main card number. The security code is a four-digit number located on the front of your credit card, to the right above your main credit card number. Oops! You can only add one Get Lean membership to your account. Stay tuned for exciting new programs over the coming months! 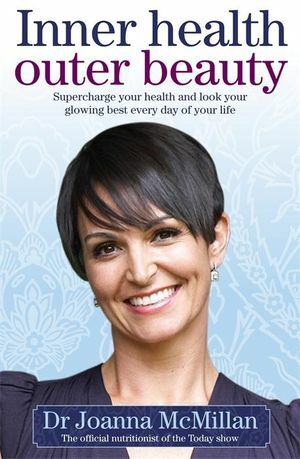 Inner Health Outer Beauty is a gorgeous and inspiring book for women. In addition to diet, it looks at the full spectrum of food-related factors: appetite, emotional eating and self-sabotage; finding pleasure in food; movement, motivation and activity; planning ahead and lots of divine, contemporary recipes. And it has the hip look and feel to make it an irresistible, pick-me-up publication. Available as soft cover book and as an eBook. These terms and conditions apply to the use of this website, including the use of the information services offered on this website. In using this website, you agree to be bound by these terms and conditions. If you do not accept these terms and conditions, you must refrain from using the website. These terms and conditions must be read in conjunction with any other applicable terms and conditions governing the use of this website. 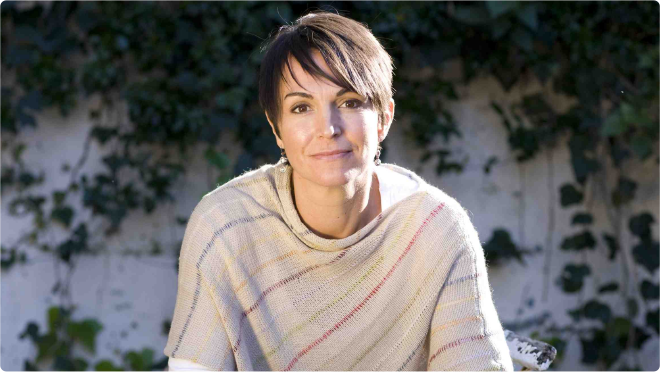 In these terms and conditions, the expression “we”, “us” and “our” are a reference to Dr Joanna McMillan Pty Ltd ACN 145 830 057. To enable you to access certain information offered on this website, you must become a member. To become a member, you must complete your registration details in the manner described on the website. You agree to ensure that your registration details are true and accurate at all times. Specifically, you must notify us of any change to the registration details as originally supplied. You agree to pay for our services in the manner specified on the website. Payments whether monthly or yearly are recurring until you (or we) terminate your membership. You are free to do this at any time from your dashboard once logged into the site. We reserve the right to terminate your membership at any time if you breach these terms and conditions. You may terminate your membership at any time. We will not provide any refund, credit or rebate for subscription fees paid by you for the period of termination. If you have any queries in relation to payment or membership, please contact: help@drjoanna.com.au. All information provided by us pursuant to these terms and conditions is provided in good faith. You accept that any information provided by us is general information and is not in the nature of advice. We derive our information from sources which we believe to be accurate and up to date as at the date of publication. We nevertheless reserve the right to update this information at any time. In addition, we do not make any representations or warranties that the information we provide is reliable, accurate or complete or that your access to that information will be uninterrupted, timely or secure. We are not liable for any loss resulting from any action taken or reliance made by you on any information or material posted by us. You should make your own inquiries and seek independent advice from relevant industry professionals before acting or relying on any information or material which is made available to you pursuant to our information service. You agree to use our information service for lawful purposes only. (c) we do not accept liability to you in respect of any loss or damage (including indirect, special or consequential loss or damage) which may be suffered or incurred by you or which may arise directly or indirectly in respect of goods or services supplied pursuant to or in any way connected with this web site or respect of any failure or omission on our part to comply with our obligations as set out in these terms and conditions. (b) at no time prior to entering into these terms and conditions have you relied on our skill and judgment and that it would be unreasonable for you to do so. The application of the United Nations Convention on Contracts for the International Sale of Goods (the Vienna Convention) to these terms and conditions (by virtue of any law relevant to these terms and conditions) is excluded. B. the payment of the cost of having the services supplied again. Content found on this website is for information purposes only and is not intended to replace advice provided by your healthcare professional. Not all exercises, or activities described on this website are suitable for everyone. You should always consult a healthcare professional when starting a new fitness program, changing your diet or if you have any questions or concerns regarding a pre-existing medical condition. It is your responsibility to seek medical advice from a healthcare professional before commencing any of our programs or acting on any of the information or material made available to you through this website. We are not responsible for any injury or illness you may suffer as a result of following any fitness program or acting on any information provided on this website. If you engage in any fitness program you receive through this website, you agree that you do so at your own risk and are voluntarily participating in these activities. You should understand that when participating in any fitness program, there is the possibility of physical injury and / or death. If you feel any discomfort or pain, you should immediately stop the activity causing such discomfort or pain. If you think you may have a medical emergency, call your healthcare professional or 000 (or other emergency telephone number) immediately. If we supply any recreational services as defined in s.139A of the Competition and Consumer Act 2010 (Cth) or other applicable consumer protection legislation, you acknowledge that your participation in the recreational services may involve risks, which may include personal injury and / or death. We exclude, to the extent permitted by law, all liability, arising from or in connection with recreational services, for death, physical or mental injury including aggravation, acceleration or recurrence of such injury, the contraction, aggravation or acceleration of a disease, and the coming into existence of an aggravation, acceleration or recurrence of any other condition, circumstance, occurrence, activity, form of behaviour, course of conduct or state of affairs that is or may be harmful or disadvantageous to you or the community, or that may result in harm or disadvantage to you or the community, resulting from the supply of recreational services or activities, but we do not exclude our liability to significant personal injury which is caused by our reckless conduct in the supply of recreational services or activities. You must take your own precautions to ensure that the process which you employ for accessing this website does not expose you to the risk of viruses, malicious computer code or other forms of interference which may damage your own computer system. For the removal of doubt, we do not accept responsibility for any interference or damage to your own computer system which arises in connection with your use of this website or any linked website. Whilst we have no reason to believe that any information contained on this website is inaccurate, we do not warrant the accuracy, adequacy or completeness of such information, nor do we undertake to keep this website updated. We do not accept responsibility for loss suffered as a result of reliance by you upon the accuracy or currency of information contained on this website. We do not give you any assurances that any information contained on this website will be suitable for your purposes or that it will be error-free. You agree that you will not rely on the any such information or its availability and that any reliance you make will on your own independent assessments with the aid of qualified independent advice. You acknowledge that any opinions or advice by third arties remain the responsibility of those third parties and we do not guarantee the accuracy, completeness or usefulness of that content or its fitness for any particular purposes. Where the information made available over this service contains options or judgments of third parties, we do not purport to endorse the contents of that opinion or advice nor the accuracy or reliability of that opinion or advice. We do not accept liability for loss or damage caused by your reliance upon any information obtained through this service and it remains your responsibility to evaluate the accuracy, completeness and usefulness of any such information. Responsibility for the content of advertisements appearing on this website (including hyperlinks to advertisers’ own websites) rests solely with the advertisers. The placement of such advertisements does not constitute a recommendation or endorsement by us of the advertisers’ products and each advertiser is solely responsible for any representations made in connection with its advertisement. Our total liability in respect of all claims in connection with these terms and conditions, whether based in negligence or any other tort, in contract, statutory liability or otherwise, will be limited, to the extend permitted by law, to the total sum of all fees paid or payable by you under these terms and conditions up to and including the date the cause of action accrued. The limitation of liability set out in these terms and conditions does not attempt or purport to exclude liability arising under statute to the extent such liability cannot be lawfully excluded. You agree to indemnify us including our employees, agents and subcontractors, from and against any third party claims and all losses, expenses, damages and costs (including reasonable legal fees incurred) suffered or incurred by us, which arise as a result of your breach of these terms and conditions. without our written permission or, in the case of third party material, from the owner of the copyright in that material. (d) in a manner that disparages us or our information, products or services (including this website). Unless we agree otherwise in writing, you are provided with access to this website only for your personal use. You are authorised to print a copy of any information contained on this website for your personal use, unless such printing is expressly prohibited. Without limited the foregoing, you may not without our written permission on-sell information obtained from this website. This website may contain links to other websites (“linked websites”). Those links are provided for convenience only and may not remain current or be maintained. Our links with linked websites should not be construed as an endorsement, approval or recommendation by us of the owners or operators of those linked websites, or of any information, graphics, materials, products or services referred to or contained on those linked websites, unless and to the extent stipulated to the contrary. Unfortunately, no data transmission over the internet can be guaranteed as totally secure. Whilst we strive to protect such information, we do not warrant and cannot ensure the security of any information whi8ch you transmit to us. Accordingly, any information which you transmit to us is transmitted at your own risk. Nevertheless, once we receive your transmission, we will take reasonable steps to preserve the security of such information. You agree that you will not share your password, let anyone else access your account, or do anything that might put the security f your account at risk. We reserve the right to remove your username or similar identifier in respect of your account if appropriate. You acknowledge sole reasonability for and assume all risk arising from your use of this website. Access to this website may be terminated at any time by us without notice. Our disclaimer will nevertheless survive any such termination. These terms and conditions are governed by the laws in force in New South Wales. You agree to submit to the exclusive jurisdiction of the courts of that jurisdiction. We accept no liability for any failure to comply with these terms and conditions where such failure is due to circumstances beyond our reasonable control. If we waive any rights available to us under these terms and conditions on one occasion, this does not mean that those rights will automatically be waived on any other occasion. © Dr Joanna 2019 Get Lean ∙ Dr Joanna ∙ Pricing ∙ Blog ∙ Legal Need Help?